Lt Construction Remodeling Inc., with over 10 years of experience in Worcester remodelling and home building, LT Building Contracting provides customers with quality work done by knowledgeable professionals. We are professionally licensed and fully insured which means that we take our work seriously. Our top goal is to satisfy our customers and we will not leave a job until they have smiles on their faces! We work in most Central Massachusetts cities and towns providing many people with beautiful new homes and additions. Our services are very affordable and we can work with the budgets of our clients. We pride ourselves on quality work at reasonable prices. 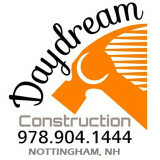 What services do deck and patio builders in Hampstead, NH provide? To help you choose the ideal style, configuration and materials for your deck or patio, your deck and patio contractor will survey your Hampstead, NH lot and your home to come up with a design that complements your exterior as well as being structurally sound. He or she will recommend sizes, heights and construction materials that suit your lifestyle and climate, as well as explain the best stain or finish options. Additionally, deck and patio professionals can provide insight into additional components such as outdoor kitchens, patio covers, fire pits, outdoor lighting, arbors and more. 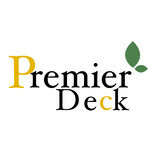 Your deck and patio professional might work closely with another Hampstead, NH lawn and landscape professional. Here are some related professionals and vendors to complement the work of decks, patios & outdoor enclosures: Landscape Architects & Landscape Designers, Garden & Landscape Supplies, Stone, Pavers & Concrete, Landscape Contractors, Building Supplies. 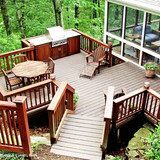 Find a deck and patio builder in Hampstead, NH on Houzz.